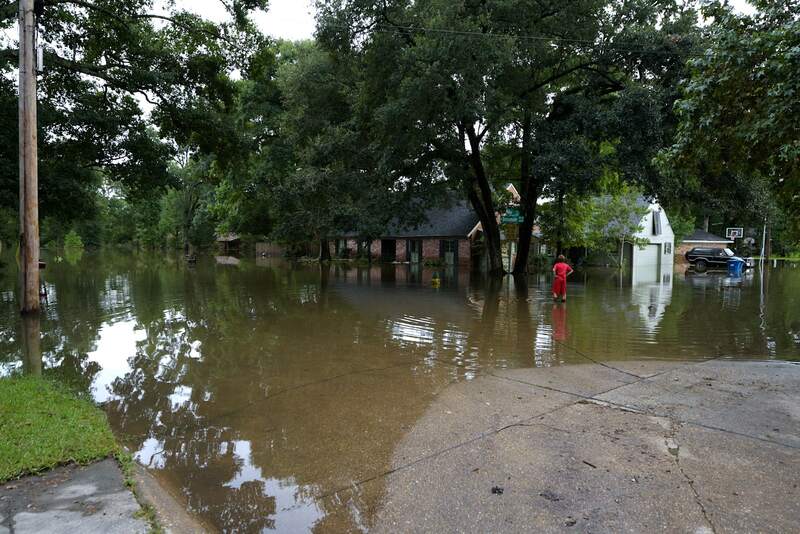 The gist: FEMA will soon announce an overhaul in how it calculates flood risk. The changes, first reported by Bloomberg, could increase premiums, lower property values and change public perception. 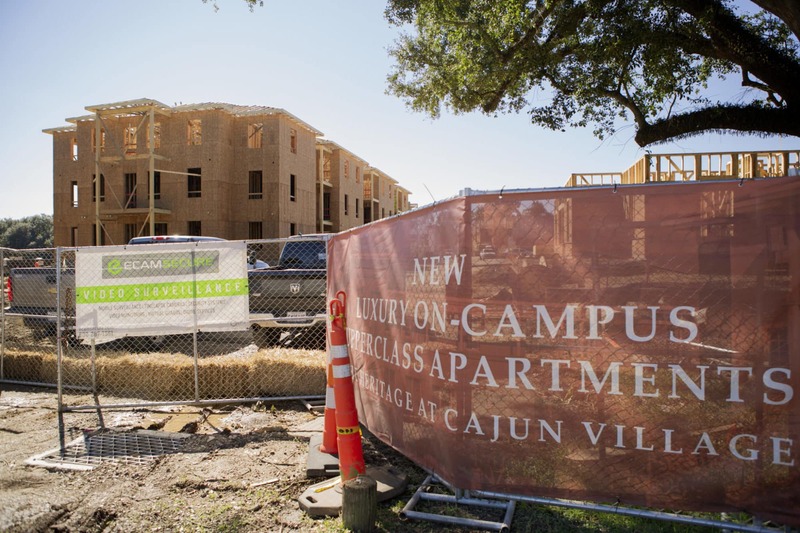 The gist: Downtown and UL are only a mile away from each other but worlds apart. LCG has been testing a transit route to connect them and is now looking for dollars to buy vehicles to run it. Buses already in the Lafayette Transit System fleet have been used in a test route. Planning Director Danielle Breaux says a city bus isn’t quite the ideal fit, suggesting a shuttle is probably the right size for the ridership and route of narrow urban streets. Robideaux said in 2017 that an electric vehicle was a possibility, arguing something small and innovative may appeal to student riders. The "proof of concept" provided by the LTS route, Breaux says, allows LCG to avoid spending money on a more extensive study and direct the dollars to buying vehicles. 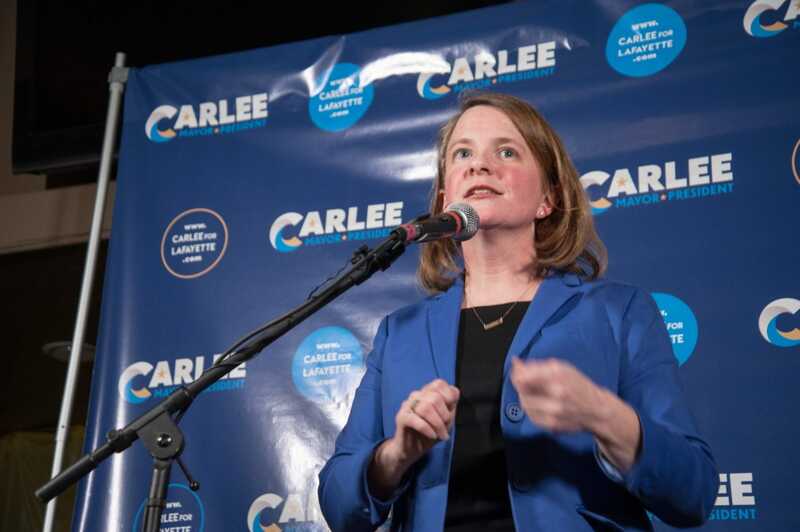 “Pilot programs in transportation such as this one not only help to take unnecessary car trips off of the road, but also improve connectivity, transportation options, and lower cost for citizens, students and visitors to better access jobs, services, and education,” Breaux tells me in an email. Bus transfer. Robideaux is pursuing dormant transportation dollars to buy whatever vehicle(s) get used. The administration put in a request to the Metropolitan Planning Organization, the agency in charge of federal transportation dollars in the Acadiana region, to move just under $380,000 from funds originally set aside to pay for a roundabout and a study on West Congress Street. The budget and scope of the project are unclear. Breaux says LCG will have more info on the project available in mid-April, when the transfer applications are turned into the MPO. What to watch for: Whether the transfer request gets OK’d when the MPO votes in May and July. Robideaux took some heat for other MPO transfer requests on the slate, most pointedly from Downtown representatives and Councilman Bruce Conque on a move to zero out a $6.8 million streetscape project in Downtown to pay for improvements on the University Avenue corridor, a priority project for the mayor-president. Robideaux and four council members, including Conque, have committee seats on the MPO, along with officials from other parishes in the MPO's footprint. It’s been three years since he’s taken office, and in that time Lafayette has had tough conversations. Robideaux’s just been absent from all of them. The gist: This is the second collective action suit against Waitr filed by delivery drivers alleging the Lafayette-based food delivery platform doesn’t pay minimum wage. New Orleans driver Autumn Montgomery says she earned $1.97/ hour when driving expenses were factored in. Her federal complaint claims she drove 279 miles on less than 30 hours of work each week. Using the IRS benchmark of 54.5 cents per mile, it cost her an average $5.28 per hour to drive for Watir. Montgomery retained Lafayette attorney Chris Zaunbrecher to sue, filing a collective action claim in Louisiana’s Eastern District on March 8. The suit also brings state claims. Another Lafayette-based attorney, Kevin Duck, is trawling to attract drivers for a suit. At issue is the Fair Labor Standards Act, which sets the federal minimum wage at $7.25 an hour and requires employers to pay workers “free and clear” of their costs of working. This is also called the “kickback” rule. Gig economy companies like Waitr are targeted for labor violations all the time, although Waitr’s case is somewhat unique. 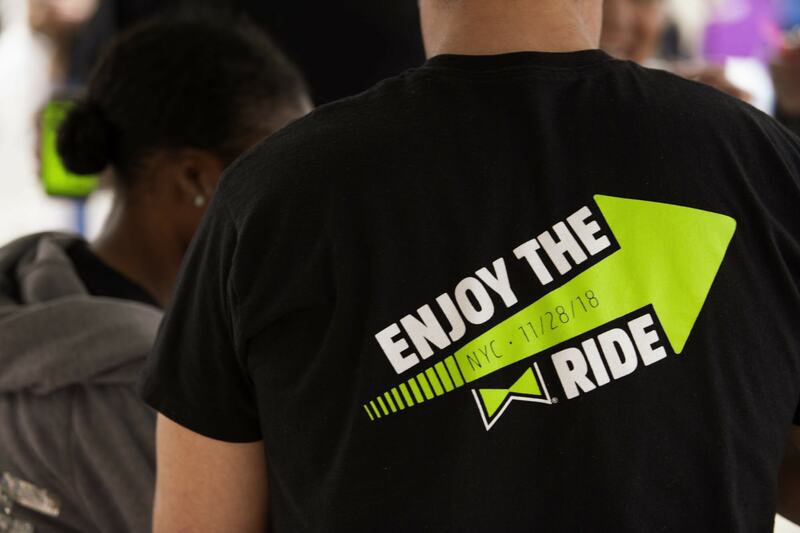 Virtually all of Waitr’s drivers are W2 employees, not contractors, which exposes the company to the kickback rule. Its competitors, like GrubHub and DoorDash, have more commonly been sued for “misclassification,” essentially, treating independent contractors like employees. Both of these suits make misclassificaiton charges against Waitr, also. Domino’s franchises have paid out millions on kickback violations. A rash of cases against Domino’s have been filed. Around 100 drivers in Cincinnati were awarded $1 million last year. Collective action means opt in. That tends to limit the number of claims that would affect Waitr, should the suits go forward. 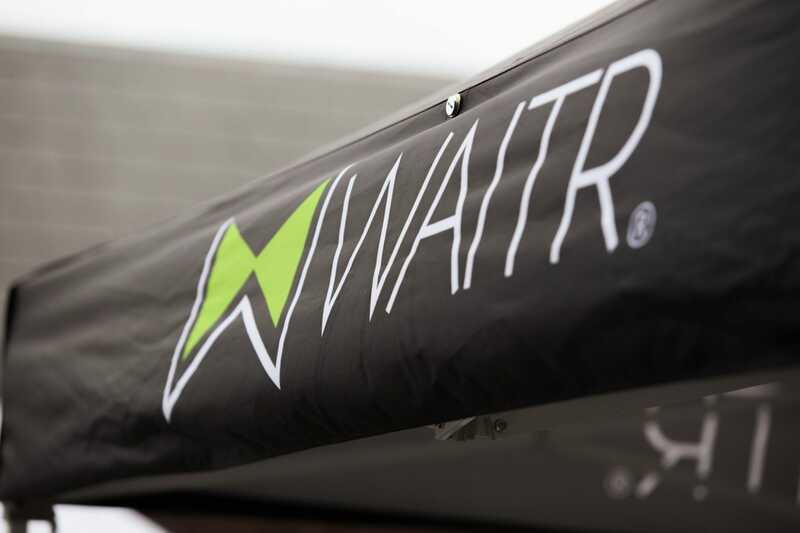 Waitr employs approximately 8,000 active drivers, but the prevailing suit would capture former drivers as far back as 2016, too. The benchmark opt-in average is around 20 percent of a class, but the numbers vary wildly by industry or employer. Some 40 drivers in Texas, Louisiana and Alabama have opted into the Halley suit, many from Lafayette. Will someone ask for AG opinion on the charter errors? The gist: Even though the council won’t do it, the conventional wisdom is someone will. Or was it that someone’s going to sue? Oh, it’s both. Get caught up, quickly. LCG attorneys authored a dense legal opinion that an ordinance was the right way to fix errors in the legal descriptions — words describing maps, literally — for the new city council district created by the charter amendments passed last year. “On this one I’m pretty confidant,” City-Parish Attorney Paul Escott said. Some think a second opinion from Attorney General Jeff Landry is needed. In a tense 5-4 vote, the council decided not to ask for one. The local legal opinion itself suggests an AG opinion is likely. The reasoning is that plenty of officials have the power to do it, so someone is likely to seek one out. Here are the guidelines for who can seek an AG opinion. So could various state and parish officials. Everyone’s got an opinion. And many have the opinion that we need more opinions. An earnest reason: It would settle the matter, i.e., it can’t hurt to have a second pair of eyes. A cynical reason: The AG could contradict the local attorneys and cause more upheaval. An earnest reason: This is a local matter, and the local attorneys think an ordinance is just dandy. Does it matter? Yes and no. Yes because an AG opinion could settle the issue or stir up chaos. No because the council looks likely to go with an ordinance anyhow. Everyone’s resigned that a lawsuit is coming. On what grounds, exactly, isn’t clear. Some suggested the council violated federal law by not getting the new districts precleared by the U.S. Department of Justice. But the DOJ removed Louisiana from preclearance requirements in 2013. Once again, that’s really only conventional wisdom. Clearly, the bad blood about the council split isn’t going away just yet. 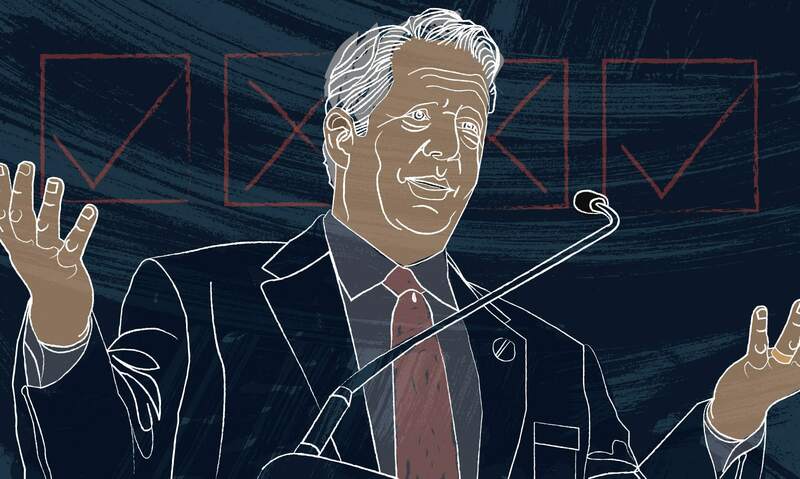 The gist: Council members have succumbed to authoring resolutions to get answers from the mayor-president. Trust is breaking down potentially beyond repair in an election year. Tuesday’s agenda was chock full of beef. Tension simmered under hours of council discussion about embattled mayoral aide Marcus Bruno, moving money out of Downtown, raising police salaries through legislation and seeking an AG opinion on the charter errors. The Bruno, money transfer and police matters were tabled or withdrawn. The council voted no on seeking an AG opinion. “All these things that are coming to a head were caused by the mayor-president,” Councilman Jay Castille told me of the heavy agenda ahead of the meeting. Can you cc us on that email? A central complaint is that Mayor-President Joel Robideaux leaves the council out of major policy decisions. Castille backed off of pressing a council investigation into embattled mayoral aide Marcus Bruno after being coaxed by Councilman Kenneth Boudreaux to await the outcome of a Louisiana Board of Ethics investigation and a parallel probe by HUD’s office of inspector general. Councilman Jay Castille backed off of pressing a council investigation into embattled mayoral aide Marcus Bruno. 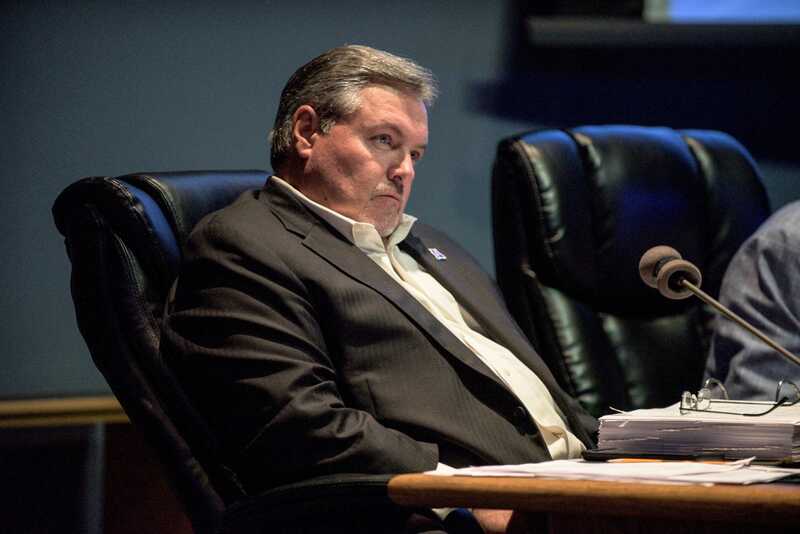 The complaints echo last year’s blow-up over Robideaux’s closed door efforts to privatize management of LUS, which yielded similar public overtures to tap the council into the administration’s decision making. “The council is always the last one to find out everything before it hits the fan,” Castille grumbled Tuesday night. Robideaux went on the offensive to defend himself. In a letter sent out Monday, Robideaux turned the blame on Conque, a voting committee member on the MPO, for not doing his duty to inform his fellow officials. Council members don’t trust each other either. 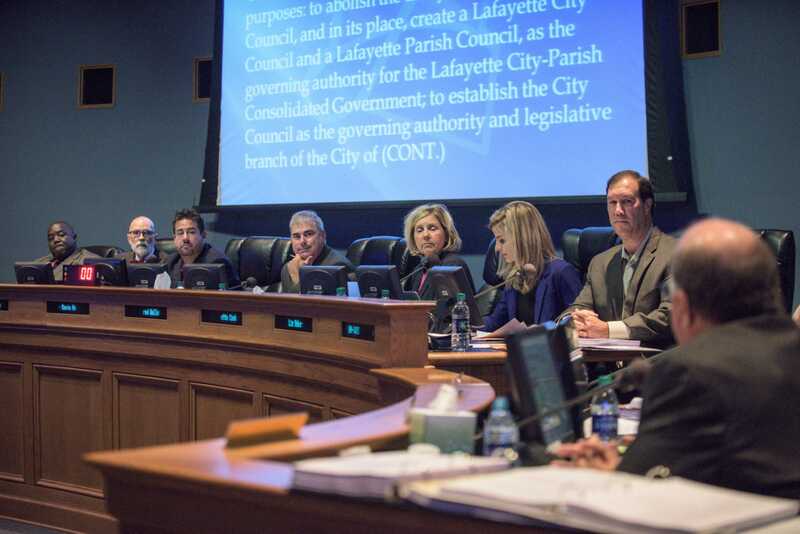 Council members Jared Bellard, William Theriot and Pat Lewis feel deceived and excluded by the close-knit planning of the charter amendments by Conque, Castille, Boudreaux and Kevin Naquin. How the maps were drawn remains a wound, now salted by the battle over how to fix errors in the legal descriptions of the new city council districts. Castille called Bellard’s resolution to request an attorney general’s opinion on the issue a “delay tactic,” an attack Bellard rebuked. Why this matters. Major policy decisions remain, and elections could ratchet up tension. Unless litigation derails it, LCG needs to transition to a split-council form of government by 2020, a process that’s been on hold since late last year. 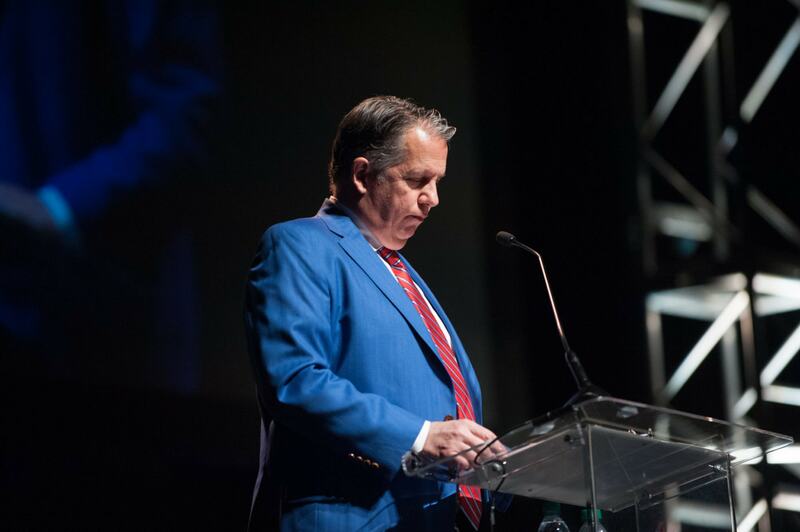 Robideaux needs to appoint new directors for LUS and LUS Fiber, and he may yet announce bigger initiatives, something of a tradition for him, at the Robideaux Report Thursday night. Dysfunction could make a lame duck year even lamer. Two Waitr drivers say the fast-growing food delivery app company paid them and potentially thousands of other drivers less than minimum wage in a collective action suit. 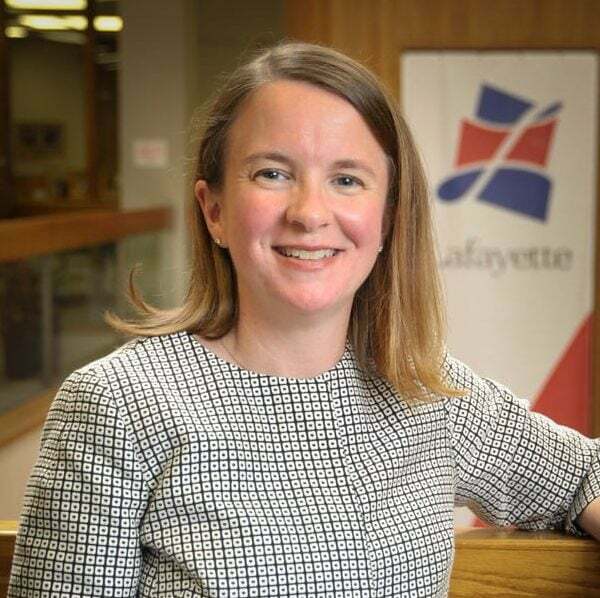 The gist: A “Lafayette for Carlee” fan page appeared earlier this week, seeking to draft Carlee Alm-LaBar to challenge her old boss. What happens when a Walmart dies? 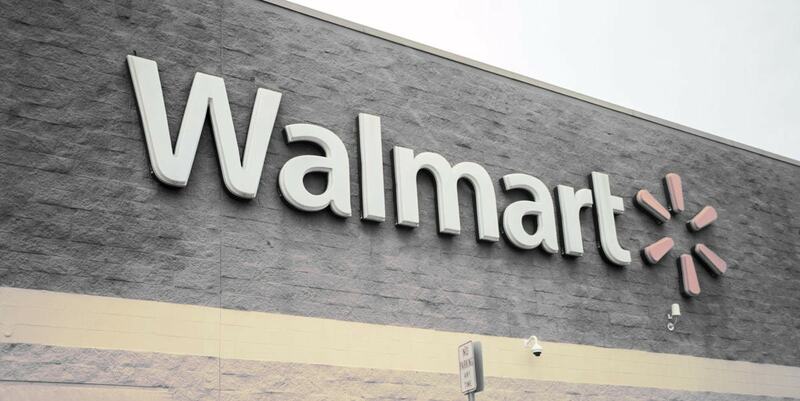 Walmart’s decision shines a light on serious issues with no easy answers. 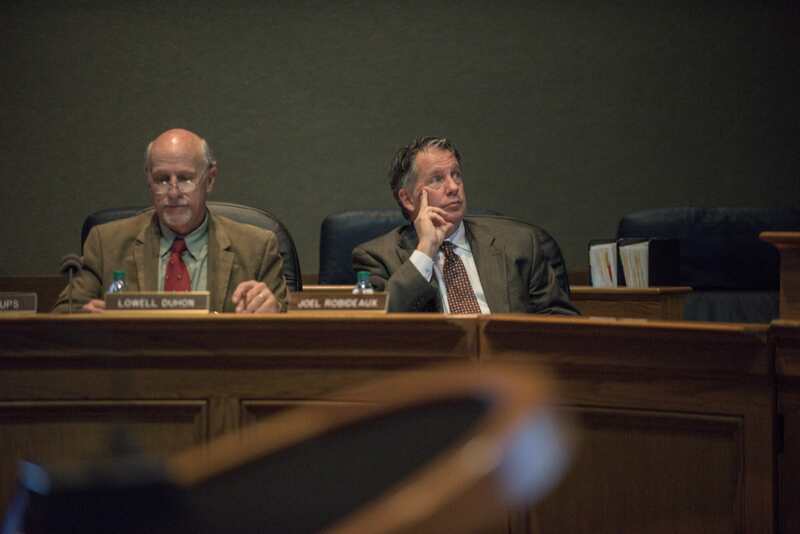 The gist: Robideaux has about $43,000 in his war chest, according to The Advocate. At this point during his 2015 bid for office, he had $335,000. He’s widely seen as vulnerable to a challenge, a somewhat rare occurrence for an incumbent mayor in Lafayette. Robideaux says he’s been working, not campaigning. Side-stepping the implication that he can’t get the taps flowing. Indeed, it is somewhat early to draw anything conclusive from the numbers. We’ll see another report soon, and Robideaux told The Advocate’s Claire Taylor he expects to raise the money he needs in short order. “To my friends in the media, thanks for the advice. I'll get right on it,” Robideaux replied in a clapback posted to his Facebook page. (Campaign staffers often post on his behalf; it’s unclear if Robideaux authored the statement himself.) The mayor-president has been in a spat with the media lately, freezing out reporters who have been hard on him. He pushed back at the “criticism” and spun it as proof positive of his efforts as mayor-president. “The simple fact is (and a lot of people don't get this about me) — I'm not a politician at heart,” the statement reads. Lack of money doesn’t necessarily indicate a lack of support, a local political operative tells me, rather a lack of campaigning. That backs up Robideaux’s defense. But the operative says it is indeed odd for an incumbent to have spent so little time fundraising. Articles like The Advocate’s, he says, raise reasonable questions of political strength. Put simply, whatever the reason, having no money in the bank shows a weakness that could tantalize opposition. “He has not had an incident-free tenure,” UL political scientist Pearson Cross told The Advocate. He’s pointing out that Robideaux’s lack of ground game is odd given his recent controversies. Saying his tenure is not “incident-free” is something of an understatement. In the last two years, Robideaux has found a way to alienate voters of all stripes. Progressives are angry about his escalation of the drama around Drag Queen Story Time and then trying to raid the library’s fund balance while accusing its directors of deception. Conservatives remain skeptical of CREATE, an initiative they characterize as a slush fund, and the cynical tactics Robideaux used to pass it. Outrage was community-wide upon discovery of his backchannel pursuit of privatizing management of LUS. Now his administration is mired in questions of ethics and transparency related to a suspect loan obtained by one of his aides. In short, Robideaux has built a platform for his eventual challenger. And most believe he will draw one.